Last weekend was a little crazy and a lot awesome! On Friday we celebrated the opening of my solo exhibition 'Departure' at Viva Vida Art Gallery. This is a retrospective show of works created during my time here in Montréal and with so many pieces going up it was a bit of a scramble to get ready, but we made it and it looks awesome! Because the exhibition features over 50 pieces from 8 different bodies of work I was a little worried about how the show would look. But, although it is quite overwhelming with so many pieces, I think it still looks cohesive and I am very happy with the result! If you didn't get a chance to join us for the opening this past Friday, the exhibition will run until April 20th. 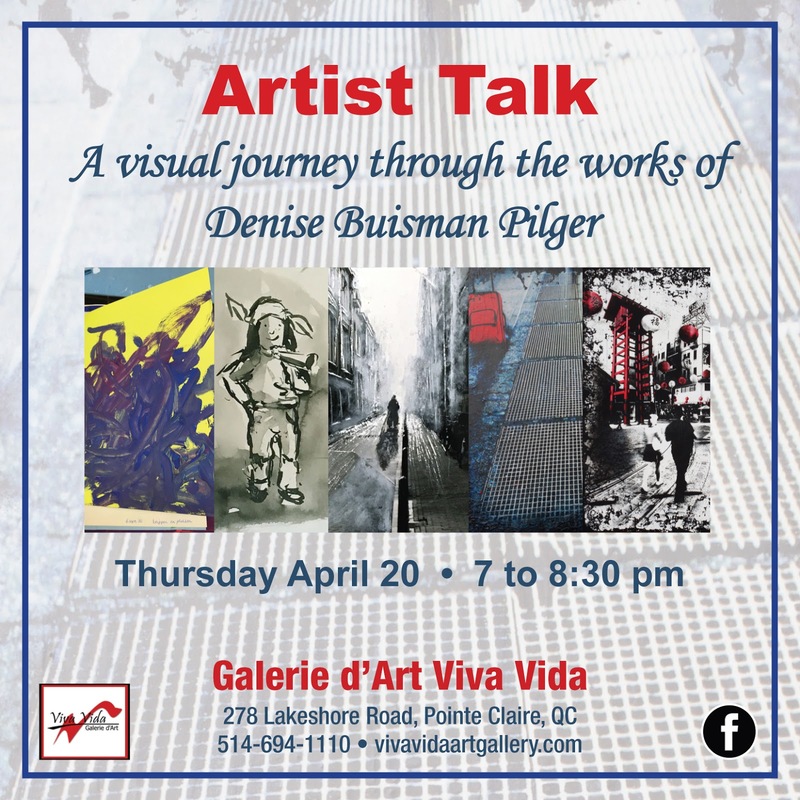 Viva Vida Art Gallery is located on 278-2 Lakeshore in Pointe Claire, it's definitely worth a look if you're in the area! After an awesome opening night on Friday I had to get up bright and early to hop on a train to Toronto for the opening of my solo exhibition 'Cities Through My Eyes'! When I arrived at Latitude 44 Gallery I was blown away at how amazing the exhibition looked. This is such a beautiful space, it really compliments the work. This exhibition features my most recent works so it was very interesting to see the difference between both shows. 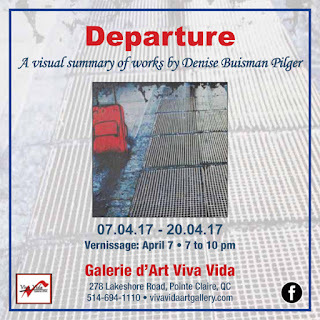 If you didn't get a chance to join us for the opening celebrations this Saturday, this exhibition will run until April 28th. Latitude 44 Gallery is located on 2900 Dundas st. West in Toronto. If you're in the neighbourhood it's definitely worth to go check out this wonderful space! 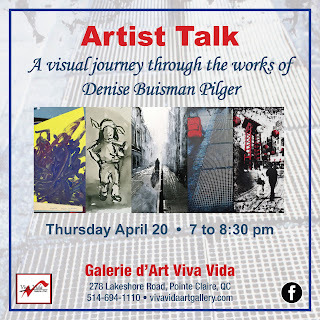 I will also be giving an artist talk at Viva Vida Art Gallery on Thursday April 20th from 7-8:30pm, this event will be free to attend. I will be talking about my inspiration and techniques and about how my work has evolved over the year. Surrounded by so many diverse pieces from different bodies of work, this is definitely going to be an interesting evening! Mark your calendars because this Friday (April 7th) and this Saturday (April 8th) we will celebrate the opening of my two upcoming solo exhibitions, I really hope to see you all there! On Friday evening from 7-10pm everyone is invited to join us at Viva Vida Art Gallery (278 Lakeshore in Pointe Claire) to celebrate the opening of 'Departure' my final solo exhibition in Montréal! On Saturday afternoon from 4-7pm everyone is invited to join us at Latitude 44 Gallery (2900 Dundas St. West in Toronto) to celebrate the opening of 'Cities Through My Eyes' a solo exhibition of my most recent work. Here's a little sneak peek! The Suburban Newspaper wrote a very nice article about 'Departure'.